Delhi is the capital city and the second largest metropolis of India. 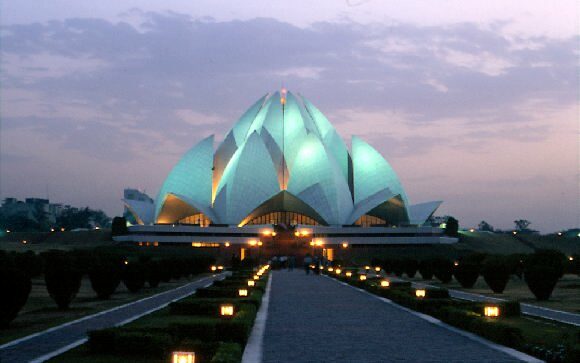 Delhi is located in northern India on the banks of the River Yamuna. Delhi is one of the oldest continually inhabited cities in the world. Delhi being the capital of several empires in ancient India. The city has testimony of every period of history in its splendid architecture. Delhi has many ancient monuments, archaeological sites and remains of national importance that have been erected in its history. Delhi, unwinds a picture rich with culture, architecture and human diversity, deep in history, monuments, museums, galleries, gardens and exotic shows. Delhi is a fusion of the ancient and the modern. On the backdrop of this historic splendor, towering skyscrapers, winding flyways and zooming metro rails, present a pleasant contrast. It is city where modern hotels and restaurants have not eclipsed the traditional kabab makers of the walled city. Delhi is well connected from all major cities of the world. The international airport ‘Indira Gandhi International (IGI) Airport’ is situated in the southwestern corner of Delhi (about 32 kilometers from Hotel Rajhans and 20 kilometers from IIT Delhi). Transport will be arranged to pickup conference delegates from airport to Hotel Rajhans. December is a pleasant time in Delhi. The temperature would range from 10-20 Celsius & woollens clothing is recommended for the evenings. The currency of India is Rupee. The present conversion rate is: 1 US$ = Rs 40 ( approx.) Almost all the world's popularly used credit cards like Visa, Master Card and Amex are accepted. Facilities for banking, exchange of foreign currency are available at International airports, at banks and also at hotels. Visa has to be obtained from the Indian Embassy abroad. Delegates should possess a valid National Passport. If required, an Invitation letter can be issued which should be presented to the Indian Embassy to obtain the visa.